Miami – Former Manchester United goalkeeper, David James, made a bold statement to Football Today and said that he feels Sergio Romero is a better goalkeeper than David De Gea. According to James, the Spanish international lacks the level of game necessary to be the Red Devil’s main goalkeeper. “Since David De Gea became the main [goalie] at Manchester United, they reach him more, he concedes more opportunities,” said James. Although the former Red Devil’s player believes De Gea is a good goalkeeper, he does not see him as very commanding. James comment has stirred outrage among De Gea’s fans because they consider it “unfair,” since Manchester United is currently at the top of the Premier League and the Spanish goalie has successfully defended his team in three-winning matches. 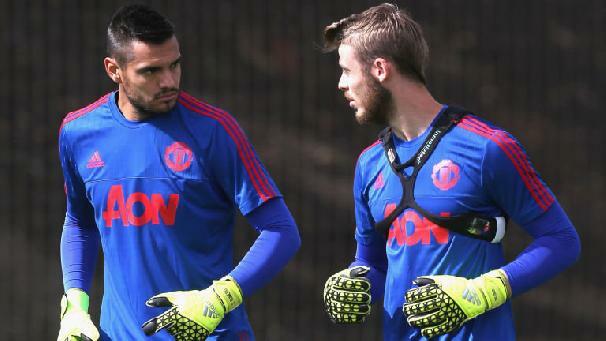 Romero made his Premier League debut this season against Tottenham and his ‘distribution’ was described as “nervy”. Following the unfortunate fallout with manager Louis Van Gaal, who relegated him to the bench at the beginning of the season, David De Gea come back to take his place as the Red Devils main goalie. Louis Van Gaal and the Spanish international fixed their problems and De Gea signed a four-year contract to remain with the British club. However, according to James, the reason why Real Madrid did not purchase De Gea during the last transfer window, was no that the deal was too late and the clubs could not deliver on time, but that Madrid did not really want him. “It’s interesting….Madrid wasn’t eager on buying him,” declared David James on the failed last-minute deal.